In an article published today for The Australian, Rowan Callick mused on the apparent success of talks held this month by Prime Minister Tony Abbott during his recent Asian tour. Returning with two signed Free Trade Agreements and another in discussion, the success of the tour is at odds with the common attitude that Australia’s Liberal governments are poor leaders of Asian diplomacy. As part of the article he interviewed Professor Andrew O’Neil, director of Griffith University’s Asia Institute. O’Neil said “Many allege Australia lost ground in Asia under the Howard government, which was averse to even using the term ‘Asian engagement’ in its foreign policy pronouncements. 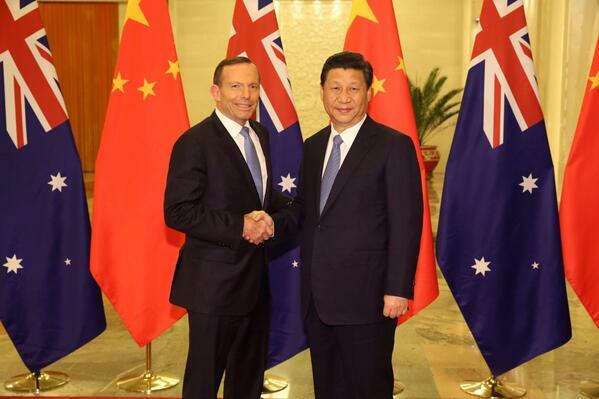 He adds: “The tougher challenge for the Abbott government will be whether it’s able to navigate in coming years the snakepit that is North Asian geopolitics. O’Neil says both sides of politics like to claim important legacies in terms of their historical contribution. “Interestingly, Labor opposed the 1957 commerce agreement with Japan while the Coalition opposed (Gough) Whitlam on China, so both sides have form in making the wrong calls. Read the full article at The Australian website.